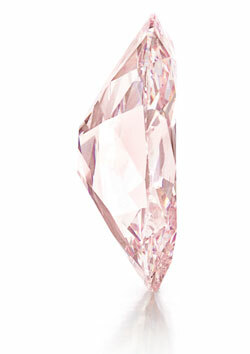 Golconda Pink Diamond estimated at 40 million dollars! What do you want in a diamond? 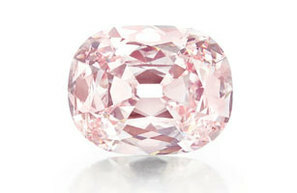 No wonder, this rare Fancy Intense Pink diamond is valued at a pre-sale estimate of $30-40 Million USD! The pink diamond originally belonged to the Royal family of Hyderabad, one of the wealthiest ruling families of India under the British rule. It first appeared in an auction in 1960, when the then Nizaam of Hyderabad had sold it for approx. 47,000 GBP only! It was bought by the London Branch of Van Cleef & Arpels & christened as the Princie Diamond in honor of the Prince of Baroda who had back then attended an event of Van Cleef & Arpels at the time. Only time will tell, what price is is really auctioned for, however with the excitement seen in Collectors of fine jewels for this rare diamond, it is not expected to sell 'cheap'.